Hunting is a big industry in North Dakota and has a big impact on the state`s economy. A group of people spent the day at the Capitol talking to legislators about that impact. Hunting Works for North Dakota involves sporting organizations, businesses, and those in the hospitality business. They say each year, 139,000 people hunt in the state and spend more than $100 million. And that`s business that many are thankful for. “When people go out on a hunting trip and they come in at the end of the day and they go to a watering hole to tell stories about the hunt and they sleep in hotels, it does have an impact on North Dakota`s economy that`s statewide, across a variety of different industries,” explains Rudie Martinson with the North Dakota Hospitality Association. The group also served a wild game lunch. 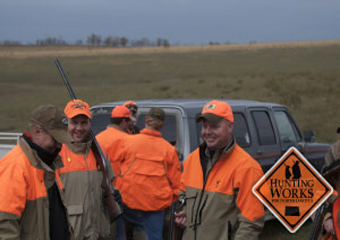 You can learn more about the group at www.huntingworksfornd.com.